See also: Things you learn in therapy. I have a pretty long track record of pats on the back. I had mostly good grades in school, started working as soon as it was legal and always had good performance reviews and promotions. Almost every job I ever left gave me a glowing letter of recommendation and I knew that if I was a good fit for a job during an interview, I would get it. The trouble is, my heart was never in those jobs. I worked because I had to. It’s what people do. But I was always stretching and trying for something more. I put myself through college, working full-time and taking classes at night for the first two years and then when I got into NC State, I worked part-time and lived off student loans (which I am still paying back). But I always worked. 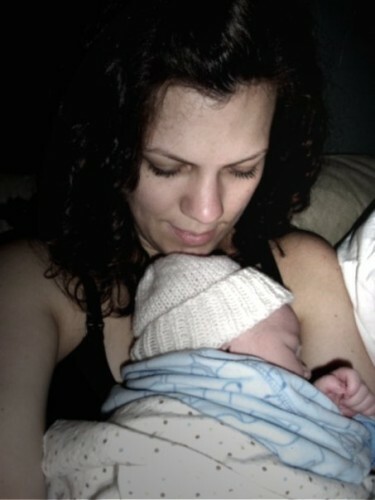 It was a glorious day in 2009, when my Oscar was born. I knew we were in for something spectacular with him. This was it somehow: the thing I had been striving for. Yet, no amount of schooling or career background can prepare you for parenting. You just….parent. But that day, I knew something else was happening. I knew that I would not be returning to my corporate job. That day, I became a stay-at-home mom. I know I will return to a full-time job at some point. But our family’s plan has been to keep one of us home until both boys are in school all day. And I was all too ready to be the one up to the task. Except that I had no idea what the task was. The transition from affirmation and gentle correction found in the workplace to literally NO feedback whatsoever (save for a crying baby) was brutal for me. And here I sit, 4+ years later still reeling. My life up until becoming a mom was filled with checks and balances. I knew when I was on the right track or when I needed to pull in the reigns. If I was sliding in my schedule and showing up a few minutes late in the morning, a quick chat and a gentle reminder got me right back in the narrow. The temptation for a stay-at-home parent is to become invisible. And the evil of it is to believe we are invisible. Over the years, I can see what I have done (and am doing) to cling to visibility. I already had this blog, but I really found friends once I had children. I connect with people in social media. I make plans to see local friends. Again, I saw that for all toil and every skillful work a man is envied by his neighbor. This also is vanity and grasping for the wind. And in the turmoil of making that transition from self to wife to mom and trying to maintain a little bit of each, the days blend together and I am tempted to fade back into monotony and self-deprication for what I haven’t become, instead of rejoicing in what I have. It’s not the kind of thing I have answers for right now. But rather a peek into the depths of motherhood. Always praying, always hoping, always trying to strike the balance between healthy adult and confident caretaker. I love my family desperately and I am not going to shy away from the hard stuff. I don’t know that it gets easier, but it gets different. I feel more myself than I have in many, many years, but I know that woman I was is replaced by someone who has a lot more important things to do in life, and while I get way less feedback it helps to have people around me who support my parenting and life decisions. My husband chief among them. Sometimes you just need a day oof to give yourself a good old pat on the back. Parenting is hard, yo. I can SO relate to this! I always knew I wanted to be a SAHM; but I had NO idea how hard it would be, transitioning from the workforce to the home executive world. I really struggled with not having predetermined, yearly objectives. I may or may not have asked my husband for some direction. 😉 Oddly enough, he was no help (I guess he figured it wasn’t in his best interest to tell a sleep-deprived woman what to do). It took an aha moment of realizing that I’m no longer an employee but an entrepreneur to help me. Plus, getting involved in some outside activities helped me keep a sense of adulthood and enjoy my new role as SAHM.